As the year comes to a close, I wanted to reflect on some of this years highlights. Helped Dr. Hudgins and Dr. Black set up the Greek Portal. Became a research assistant for my advisor Dr. David Alan Black, the Dr. M.O. Owens, Jr. Chair of New Testament Studies. Read all of Big Bob (A. T. Robertson’s Greek Grammar), BDF (Blass, DeBrunner, and Funk) and Discourse Grammar of the Greek New Testament (Steven Runge) in three weeks. Wrote the first 85 pages of my thesis topic comparing the discourse of the LXX and BHS texts of Jonah. Taught 7 sessions of Dr. Black’s Greek Grammar II class at SEBTS. Joined an Early Christian Writers study group. 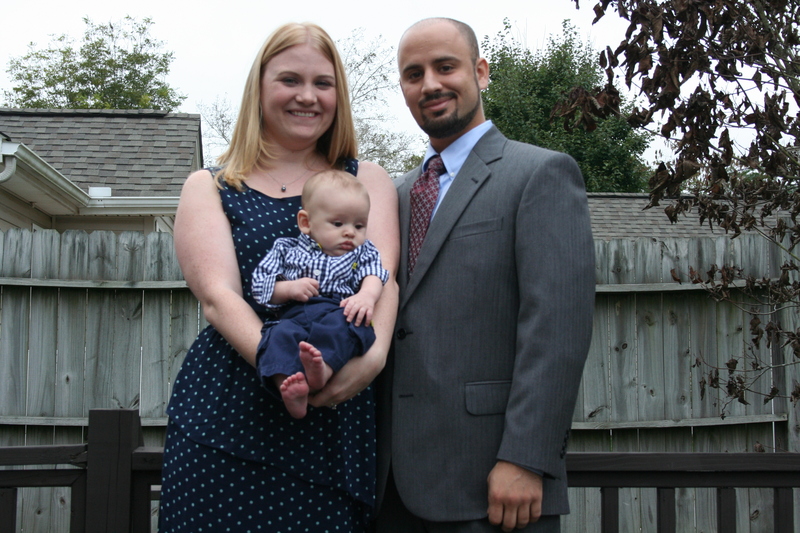 The birth of my son Elijah Christopher Cerone. 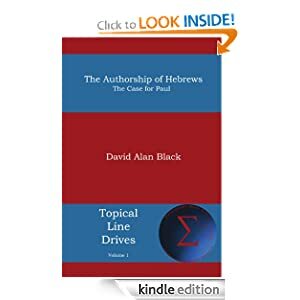 Provided editorial assistance for Dr. Black’s The Authorship of Hebrews: The Case for Paul. 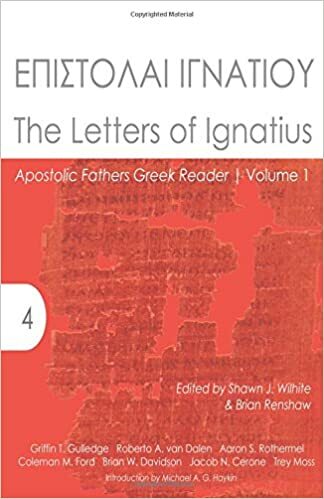 Wrote an essay contending that Eusebius’ use of γράφω and its compounds does not preclude the view that Origen believed that Paul wrote Hebrews by means of an amanuensis. Was ordained in the Christian and Missionary Alliance. 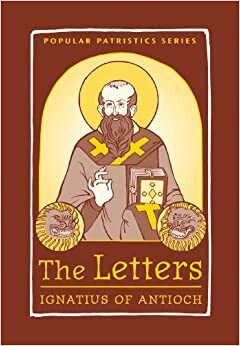 Translated the Letters of Ignatius. Read Karen Jobes’ Dissertation The Alpha-Text of Esther, Berlin’s JPS Bible Commentary: Esther, and Fredrick Bush’s Commentary on Esther. Translated the Alpha-Text, LXX, BHS, and Vulgate of Esther. 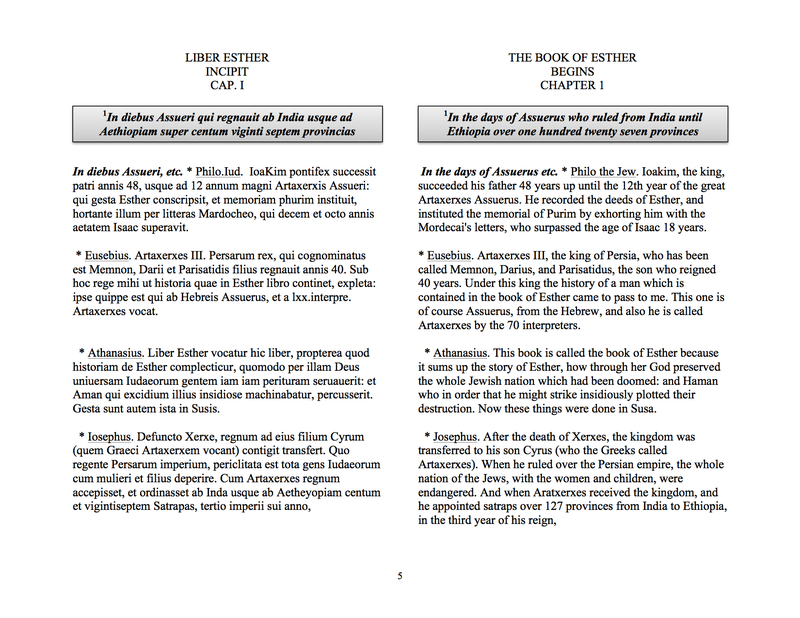 Digitized and translated into a diglot format the first 5 chapters of the Glossa Ordinaria of Esther. Attended SBL and met a number of great people. You know who you are. Taught 5 students Greek Grammar I and II at my local church (we still have 3-5 class left in the new year). Drastically improved my ability to read and work in biblical Greek and ecclesiastical Latin. Creating a reading group for Chrysostom’s Homilies on Philippians. Started translating Aquinas’ Summa Theologiae. Thank you to everyone that bought me this set for Christmas and birthday. Here’s to hoping for a productive 2014. Mate…that was an extremely busy year. Well done. I keep telling Mary Beth, my wife, that I thought my productivity would tank after having our first baby. I’ve found that I have been more productive than ever and I’m loving life. I hope all is well on your end with holidays and the coming New Year! Children bring about a whole new perspective on life. All is well and looking forward to what the new year brings.